After the recent social media brandjackings by Greenpeace of Nestle’s Facebook page, this was an important area that required more research. Below, you’ll find an exclusive interview with Greenepeace’s team, and interestingly, I believe they are more organized and sophisticated than the average brand -giving them the opportunity to overwhelm their opposition using their strong supporter base. Below is my Forbes article, which was originally posted the CMO network (or you can read it on Forbes). This is a great article for brand managers, PR, agencies, and social media professionals. Citizen activists increasingly use social networks to bash brands. Most companies are barely prepared to deal with unhappy customers who use social media to air their gripes. Now they must be ready to respond when organized entities, such as Greenpeace, wage massive campaigns against their brands using social media channels. Greenpeace and other organizations have a long history of demonstrating in real life against corporations in order to influence their agenda. Yet we’re seeing this cascade online as well as the real world. In March, Greenpeace launched a viral campaign criticizing Nestle’s use of palm oil from companies that are destroying Indonesian rain forests. The campaign included a video in which an office worker opened a Kit Kat chocolate bar only to find an orangutan’s finger in the red wrapping and a call to Greenpeace’s Twitter followers to “attack” the Swiss company’s Facebook fan page. Thousands of social media users posted comments criticizing the company’s practices and posted altered logos, like one that replaced “Kit Kat” with “Killer.” Nestle, unprepared for the influx of criticism, said it is now committed to using only “Certified Sustainable Palm Oil” by 2015. In the wake of BP’s massive oil spill in the Gulf of Mexico, Greenpeace orchestrated another attack. It challenged the public to design a new BP logo that, according to the organization’s website, is “more suitable for their dirty business.” The competition garnered over 2,000 entries, including a design that suggested BP stands for “black planet” to images of oil coated birds and fish. Greenpeace is leaving the winner up to the public, who can vote for the best logo redesign. In addition, Greenpeace recently released a “ScamWow!” infomercial parody of the “ShamWow!” super towel, targeting BP and other oil companies’ that need a quick-fix solution to their ecological disasters. Greenpeace has scored some social media successes against brands, thanks to its active supporter base. The organization plans to continue these campaigns, according to Laura Kenyon the online marketing and promotions specialist at Greenpeace International. Owyang: Your efforts against Nestle and now BP appear coordinated, perhaps even more so than some of today’s modern corporation’s marketing efforts. You had an existing online community, marketing materials (videos, logos) and a clear “call to action” for your supporters that was executed quickly and effectively How were you able to pull this off? Kenyon: Greenpeace’s online campaigns against Nestlé and BP are some parts coordination, some parts opportunity, and most importantly rely on people’s support. Without individuals commenting and sharing the “‘Have a Break?” video on Facebook and their other social profiles it would never have reached over 1.5 million views or caused such an uproar. Coordination is important but as you can never plan for everything online, we found we also needed to be ready to react quickly as things developed. We could not know that Nestlé would request that YouTube block our video within a few hours of it being uploaded, but when that happened we were able to replace it quickly on Vimeo. The blocking of the video went on to drive views on the video and generated interest that we could never have predicted in the planning of the campaign. Owyang: Tell me about your internal structure of your social technology team, how many folks do you have working on this? Kenyon: We have 28 offices worldwide and people working on the social media aspect of communications in most of these offices, most often in addition to another role. The number of people working in each office varies, but together we have a very effective global team. Owyang: How do you work with your community to achieve your objectives? Kenyon: Greenpeace is its supporter base. Without them we would not be here. Their support for our campaigns and the personal actions they take alongside us are vital to our successes. There is no better example of the importance of engaging and empowering our supporters than the Kit Kat campaign. Our online supporters are a source of encouragement, inspiration, and ideas-and we are always trying to draw on that. Owyang: How are online movements different from real life ones? Is there a difference between online and in-person protests? Indonesian rainforests and carbon-rich peatlands. Owyang: Are you concerned about any legal ramifications or lawsuits? Kenyon: We always seek out legal advice and make sure that we understand any potential consequences before launching a campaign like Kit Kat. Our campaigns are not about breaking laws but about creating laws that protect the environment. Just last week the EU finally created a law to ban illegal timber imports after a decade of activism. Owyang: How do you measure the effectiveness of your efforts? Kenyon : Ultimately we measure effectiveness by the achievement of campaign goals. In the case of our Kit Kat campaign Nestlé’s eventual commitment to remove products coming from rainforest destruction from its supply chain is a positive step. Another measure is how many people became engaged with the campaign – the video reached over 1.5 million people, over 300,000 of which directly contacted Nestlé CEO Paul Bulcke via e-mail, and a countless number of people took up the cause on Facebook providing a steady stream of criticism on Nestlé’s infamous Facebook fan page. Many of these were people who were not previously aware of the role of palm oil production in the destruction of Indonesian rainforests, including key orangutan habitat. The increased awareness of this issue is another victory for our Kit Kat campaign. Owyang: So you’re calculating ROI by your objectives. In some ways, you’re already ahead of most brands in the social space. Yet you’ve attempted some other social marketing efforts in the past, but none were as successful as the Nestle effort. Was Nestle a stroke of luck for Greenpeace? remove harmful chemicals from its refrigeration equipment, which also convinced Unilever and McDonald’s to follow suit. A few years ago we also ran a successful online campaign to convince Apple to remove toxic substances from its products. The crucial element in all of our online campaigning has been the support we’ve found amongst the online population – not only our amazing online supporter base but also from people who might not consider themselves “Greenpeace supporters” per se but who share our concerns and take action with us. There were a lot of factors that contributed to the success of the Kit Kat campaign, but its success wasn’t isolated from our other online campaigning. The online networks used to push the Kit Kat campaign have grown as a result of previous Greenpeace efforts and the Kit Kat campaign was definitely the beneficiary of earlier online efforts. Add to that an unforgettable video, a few Nestle online blunders, and a lot of amazing efforts from supporters of the campaign. People didn’t lose interest or let the issue rest – for weeks and weeks they told Nestle over and over to stop buying products from rainforest destruction. And it didn’t stop until they listened. Owyang: Speaking of getting brands to listen, one of the tenants of social media is dialogue. Yet on the surface, it appears that you are not interested in a dialogue with the companies in these channels. To what extent is that true? Kenyon: In Nestlé’s case it was far past the time for action – Greenpeace had already established a dialogue with Nestlé on the issue of its palm oil suppliers years before the Kit Kat campaign kicked off. But they were not taking action to deal with the problem. When the time came, Greenpeace and Nestlé talked directly in order to reach an agreement. Greenpeace engages with companies and governments at key times in all of its campaigns in order to create change. Owyang: What should we expect in the social technology arena from Greenpeace in the future? Will you increase your usage in this space and, if so, by how much? online spaces where it is expressed will be crucial. Greenpeace will maintain a strong presence in social media, using the latest tools and communication channels where it is effective to challenge those who are involved in environmental destruction. It’s impossible to predict exactly where social media is going next so it’s hard to say exactly what you should expect but we will definitely continue to use creative online campaigning tactics to create change. Also contributing: Charlene Li and Susan Etlinger from Altimeter Group and Victoria Taylor from Forbes.com. Jeremiah Owyang, a Web strategist, is partner, customer strategy, at Altimeter Group. We encourage companies to get ready for social media attacks by getting prepared internally first, watch our webinar to learn how. Social media doesn’t scale. That’s right, social media doesn’t scale. Consumers will only increase their adoption of social technologies, most social networking data shows this is going ‘up and to the right’. You can never hire enough community managers to manage your millions of customers that are now using social channels to communicate. You must have a strategy to scale. This article, which I originally wrote on my regular column on the Forbes CMO network explains in pragmatic steps what marketing executives must do to develop a scalable program. I look forward to hearing what you’ve learned below. CMOs must tap the voices of their customers. While marketers traditionally were the direct channel and voice to the customer, creating direct mail, advertising and corporate press releases. CMOs today must develop advocacy programs in order to scale, increase credibility and demonstrate commitment to customers. In doing so, marketers will develop a low-cost trusted unpaid army of customer advocates. Research by Edelman’s trust barometer indicates that buyers, customers and consumers often will trust each other far more than they’ll trust employees, sales or company. While factual information about product specs, pricing and usage will still be relevant on the corporate website, expect customers to do online research and consider advice from their peers before they make purchasing decisions. 1.) First, get ready internally. You’ll need to dedicate an internal staff member on a part-time basis to manage this program. Look for folks who have a background in influencer relationships and are savvy about social media–traditional command-and-control techniques need not apply. Develop a plan and educate internal stakeholders. You will need to inform Support, Product, Account Managers, Legal. Next, develop a content plan to constantly fuel the advocates with topics and time with upcoming product releases. 2.) Find the right advocates that will represent your brand. It is important to select the right advocates. First, find them where they already are. Look at top blogs in your industry, the most helpful and knowledgeable community members in the support forums, and those that have dedicated their time to managing Facebook pages, online forums or are active in the ecosystems. Use the following six attributes to gauge if they’ll be successful advocates: 1.) They should have a track record of their contributions and expertise. 2.) They should be respected and have influence in the community. 3.) They must be helpful, passionate, reliable, trustworthy. 4.) They should possess strong communication skills. 5.) They should have existing communication platforms. 6.) They must be committed to the program requirements. 3.) Build a relationship for the long term. Just like courting, in any relationship it is best to start by building trust. Invite your select group of advocates to your headquarters to meet with key product teams, communications and customer-focused executives. Be prepared to listen, and be attentive to their requests. The key is to acknowledge their ideas, without coming across as defensive. After this effort, you’ll have a strong sense of who you’ll want to work with more closely. Wal-Mart invited top bloggers to its HQ in Bentonville AR, which resulted in an advocacy program called the Elevenmoms. Intel invites its ‘Insiders‘ to social media and digital savvy folks to key events like Intel Developer Forum. 4.) Give them a platform–but do not pay them. The crux of an advocacy program is giving fans a platform for communicating. You’ll want to support their efforts by giving them a publication platform such as a group blog or community, so they can tell their story. Ensure they are properly kept up to date, and that the lines of communications are always open for discussion, even when there is negative content. Enable them with graphical “badges” they can put on their blogs, email signatures, T-shirts, and business cards as they become extended ambassadors to your brand. Microsoft MVP program showcases their advocates, and provides them with a variety of resources to evangelize. 5.) Integrate them into your business and recognize them. It’s key to continue to build on the momentum you’ve established by following the above steps. Next, continue to integrate them into your existing events, product launches and even planning meetings with product teams. Lego invited top advocates for their next-generation mindstorm product, and intertwined customer opinion with the produce team. As a result, a successful product launched, that was quickly sold out. Microsoft ( MSFT – news – people ) has “conference” funds for MVPs who are encouraged to speak at industry related conferences about their passions–further spreading the brand. These five phases of your program will make you successful. But remember above all, give them recognition and access to special events, review on-brand products, access to important people and information–and do not pay them, or you risk making the relationship a thin transaction. Instead, focus on building a long-term relationship with customer advocates who are an extension of your authentic brand. That’s my take, after taking briefings and meeting with the folks that have run these programs. Just wanted to share my research over the years in a consolidated pragmatic step-by-step. Please leave your suggestions below, thanks! Here’s my latest column in Forbes, which I’ve also posted below. I’m leaning on naming this CMO focused column “The Connected Customer”, which appears to be a theme, what would you name it? The connected customer leaves brands in the dust. The Recession Spurred Consumers to Adopt Social Technologies. Humans are social creatures and, as a result, they tend to band together in hard times. During financial crises, this same behavior is evident: People connect to one other, share, learn, and communicate. What’s more, with unemployment at record highs, those with internet access have more time–and need–to connect with others. It’s evident through Facebook’s 350 million global users. For brands, it’s interesting to note a study by Razorfish, which indicates that 52% of consumers have blogged about a brand’s product or experience. Don’t expect this to change as the recession lifts, as it is the preferred method of communication for young people. Some Brands Followed Suit With Social Marketing. Marketing budgets are pinched during tough times. Recent data from eMarketer indicates that companies are slashing print budgets by 37% and TV by 21% as a response to the recession. Yet marketers know that tough times also spur innovation, as they experiment with mediums such as social marketing. Social marketing promises lower costs and bigger returns. In fact, word-of-mouth campaigns encourage consumers to do the marketing on behalf of the brand themselves. Yet despite the opportunity, research conducted by the Altimeter Group (where I’m a partner) and Wetpaint found that while brands like Starbucks, Dell, eBay, and Google interact with their customers, most brands do not. Still, we’re seeing a noticeable increase in social marketing budgets, as brands find ways to innovative marketing. Social Networks Share Data, Spreading Social Influence. A key trend across the technology vendor space in 2009 is that social networks are connecting with other systems. Much like how Apple’s iPhone developer program enables third parties to build and create new applications, many social networks are doing the same. Take for example, LinkedIn, a business network that recently began allowing third party sites to connect with the LinkedIn platform to share data. Similarly, Facebook Connect allows users to log into third party sites using their Facebook ID. There have been over 80,000 connections since this time last year. So what does this data availability mean? It means that consumers’ social experience will spread from site to site, and that wherever they go online or off, they can access their friends’ opinions, experiences, and recommendations in real time. Consumers Move Faster By Sharing Real-Time Data. In August, 2009, blogger Heather Armstrong, who boasts over a million followers on Twitter was miffed about a shabby customer experience and tweeted about it. Although the company, Whirlpool, responded within hours, the damage had been done–Armstrong’s real-time feedback about her company experience spread quickly through her network and beyond. This spread of customer experiences in real time is a trend, in fact, status updates are a feature found not just in Twitter but in many social networks like Facebook and LinkedIn. Recently, Twitter signed a deal to allow Microsoft’s Bing and Google access its real-time data, displaying real-time tweets which appear along side traditional search results. So what is the impact of this increase in real-time data? It means that consumers can instantly give feedback about their product experiences and tell their friends. For brands, it means they have to move faster to keep up with consumers who are sharing. Takeaway: This year, consumers are more connected, and moving faster than brands. It’s essential for senior marketers to use the past to plan for the future, and these four trends indicate that people are connecting and sharing with each other–at an increased pace. Brands need to develop a strategy and a plan to respond–not simply react–to the latest technology. In our next piece, we will discuss the key trends to watch in 2010 to help with strategy planning. Thanks to Christine Tran on the Altimeter Research team for her assistance if finding data references. I’m serving CMOs by teaming up with the Forbes as a regular contributor. My goal? To guide marketing leadership on how to leverage disruptive technologies and meet business goals. At a more detailed level, this blog will continue to aim at providing nitty-gritty breakdowns, frameworks, and insights. Use these two resources in tandem to both develop strategies, and then implement best practices across the organization. It continues to amaze the market that such simple social technologies can impact the entire organization. In fact, social technologies, at the core, allow people to connect to each other without a middle person in the way. As a result, expect social technologies to impact every employee and customer touchpoint. CMOs must prepare in their 2010 planning how to leverage social, not as a skunkworks but as a strategic shift in all communications. Use the Forbes CMO article as a guide for your marketing leadership, pass along this article “CMOs: Consumers Are Connected. You Need To Be, Too”. Below, use the detailed matrix (and the links within them) for the strategists who need to plan out the actual programs. Leave a comment with other suggestions, and benefit from working with the very savvy Web Strategy community, who I learn from every single day (thank you). Digital Advertising Facebook launched “Social Ads” that allow advertisements to appear based on your profile information and friends. Infantile As profiles become portable (like Facebook or Google connect) people can share their personal info for contextual experiences, expect advertising to improve CTRs as social data is added. See how an interactive ad benefitted from my Facebook data. Search Marketing (Paid and SEO) For years, bloggers heavy linking and frequent content have scored high on SERP pages. Recently, Google and Microsoft partnered with Twitter, to offer “Social Search” which means users could received customized SERP based on their friends behaviors and preferences. Pre-Teen Social search will impact a prospects search results are impacted by their friends, this complicates the traditional search marketing strategy of simple keyword placement. Conversational marketing becomes a key factor in search strategy. Learn more about Social Search. Email Marketing Many email vendors like Responsys, ExactTarget, Constant Contact and Zeta Interactive provide simple ways to “share this” email with their friends on social networks. More advanced vendors are offering advanced monitoring, and innovative companies like Flowtown are using email addresses to identify a prospects social networks Infantile Email marketers can no longer be in broadcast mode, but must be prepared for emails to be shared with each other. Furthermore, they should seek how to influence content on the newsfeed in social networks like Facebook and LinkedIn. Learn how email and social networks are interlaced. 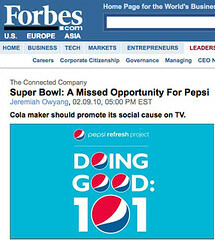 Web Campaigns/Microsites Traditional microsites now have social components from simple “Share this” features to viral videos and community dialog. On the extreme side, Skittles allowed the whole site to be taken over by consumers. Adult A marketing campaign today without social elements is asking to be ignored. To benefit from word of mouth, marketers know spurring a conversation will cause the campaign to spread. Corporate Site Corporate sites are integrating social features, From Community Platforms like Mzinga, Awareness, Pluck, Kickapps, Liveworld (client) they encourage customers to talk back. Young Adult Even if companies don’t want their website to be social, they can’t stop it. Google’s “SideWiki” product allows any webpage to be social using a browser plugin. Mobile, Location Based Location based social networks are quickly emerging among early adopters. Foursquare, Gowalla, and even Twitter are allowing people to share their location, time, and social context. Infantile Advertising and special offers becomes more targeted as brands can triangulate contextual information for consumers –but only if they desire to see it. Sales Efforts Ok, this isn’t a medium, nor the two listed below, but it impacts the scope of the CMO. Most marketers provide sales enablement resources, now these sales folks are armed with LinkedIn, Facebook, Twitter. In fact, many sales folks have had their digital rolodex in LinkedIn for years. Young Adult For savvy marketers, providing social marketing skill training to sales folks will provide them with best practices, and teach them to do more quicker. Those that do nothing run the risk of PR nightmares and even legal problems for the untrained department. Learn about social media policies. Support Efforts What happens in customer support now echos on the social web, from Dooce’s flare up with Maytag to Domino’s Employees snotting on Youtube. Furthermore, customers self-support each other in forums, Facebook, and GetSatisfaction. Adult Marketers must provide a holistic experience to customers, as they don’t care what department you’re in. Read more about Social Support. Product Development A handful of savvy companies like Dell, Starbucks, and Nokia are using social tools to improve the innovation process using tools from Salesforce ideas, Uservoice, or Getsatisfaction Infantile Customers want to innovate with brand, use these free resources to improve brand messaging, test new features, and to develop an army of advocates. Learn how some companies have benefitted from co-innovation. Real World and Events Physical events are now impacted by social technologies, and even virtual events. Attendees will connect to each other, comment about the event, and discuss if even after the event has concluded. Adult Event marketers must develop a strategy to encompass both pre, during, and post event to be successful. Here’s a playbook to integrate social and events. Occasionally, I get a few emails from people asking if they can use my blog posts in their presentations. Here’s my policy: You cannot package up this content and sell it without my permission. However, it is ok to use for educational purposes as long as you give me credit on the slide, mention it verbally, and link to my blog. Creative Commons defines this as: Creative Commons Attribution-Noncommercial-Share Alike 3.0 United States License. Love to hear your comments below, and how social impacts all digital channels. Thanks to Christine Tran, Altimeter Researcher for her editorial expertise on the Forbes piece. I’m very thankful that Forbes has extended me an offer to be a regular contributor discussing emerging technologies for the evolving customer strategy. CMOs are hungry for information. The information landscape is in flux, consumers are more empowered as they assert control using social technologies. Additionally, things are moving faster, as mobile devices and microblogging makes real-time responses from companies not fast enough. As a result, they are thirsty for what’s next, and how they can get ahead of the curve –with minimal risk. This regular monthly (or more) column on the Forbes CMO network (@ForbesCMO) isn’t reporting, but instead will marry industry level insight and provide pragmatic advice. After I post industry insights at Forbes, I’ll also cross-post or point to it from the Web Strategy blog so you don’t miss out on anything. Having met many of the CMO and marketing leaders at a recent Forbes event, they are certainly more sophisticated in their understanding (my first piece at Forbes) of new technologies and are ready to understand, trial, and adopt new methods. While we know that ‘social marketing’ is the hot topic for senior marketers especially during a recession, I’ll be pushing the thinking as I explore location based social networks and mobile technologies –all in support of improving the customer relationship. I’m thankful for the opportunity to advance the industry, and hope to be a guide to marketing leaders who want to benefit from new technologies. Now, to hear your opinions. As we continue to connect with marketing leaders and CMOs around the globe, I need your help what do you think they should know about emerging technologies. If you could speak to CMOs, what would you tell them? I’d love to hear your thoughts.